Since its inception in 2012, Digital Content NewFronts presentations have been all about convincing marketers to double down on digital video. But this year's extravaganza seeks to raise the bar, with publishers adding more sophisticated virtual reality and 360-degree storytelling into the mix. For the last 18 months, publishers have toyed with Oculus Rift and Google Cardboard to produce immersive, visual storytelling. It was purely experimental. But with Facebook and YouTube building 360-degree videos into their platforms and with headsets like Oculus Rift and Samsung Gear available to consumers, heavy hitters such as The New York Times, AOL and PopSugar are betting that brands are ready now to get on board. "In many of our discussions with brands and our internal creative discussions, we're finding a place for VR and 360, and you will see those projects this year for sure," said David Grant, president of PopSugar Studios. Virtual reality is quickly becoming a must-have for publishers serious about the next wave of digital video. 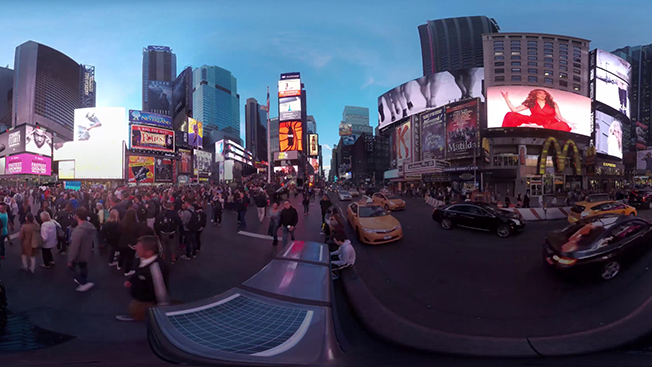 In April, Verizon's AOL bought RYOT—a specialized VR company—to crank out editorial and branded video for its stable of brands, including The Huffington Post, TechCrunch and the go90 mobile video app. New research from AOL backs up its VR investment, finding that 62 percent of consumers are familiar with VR and 64 percent believe watching video through a headset will soon be as common as viewing a clip on a smartphone. VR will be a central piece to the company's NewFronts pitch. "You're just starting to see the medium mature into something that is mass consumed," noted Rob Leon, AOL's head of publisher product commercialization and solutions. "It's almost like when mobile started to get more traction in 2008-ish." AOL and PopSugar are likely taking a cue from the Times, producer of a number of films including Walking New York, which premiered at last year's NewFronts. Since then, Hilton, GE, TAG Heuer, Cadillac, Lufthansa and Mini have worked with the Times' in-house agency T Brand Studio to create custom video. 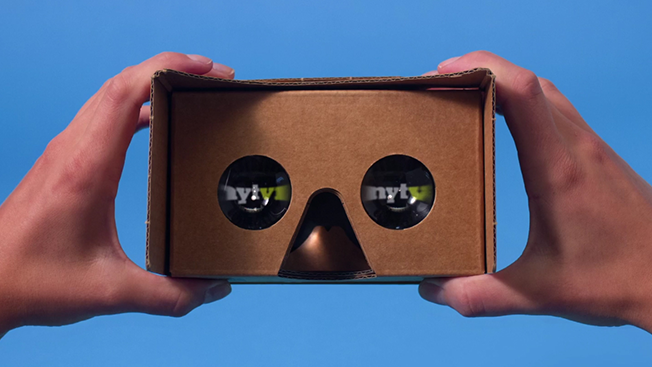 Last November, the Times mailed more than 1 million print subscribers a Google Cardboard headset with the Sunday paper to promote the company's own VR app, which it said was its most successful app launch with more than 600,000 downloads. Later this month, it will ship another 300,000 headsets to digital subscribers to advertise a new editorial film that lets viewers explore Pluto by watching NASA's New Horizons space shuttle fly over the planet. "The newsroom has put a real commitment behind VR," said Sebastian Tomich, svp, advertising and innovation at the Times. "We have a whole slate of films that will run through the rest of the year, and advertisers are working with us to either create those or [content] that will run side by side with them." Still, there are those who wonder whether VR might not just be a passing fad. "When you start talking about video publishers, you get kind of into the space of, how invested are they in making sure that this thing comes to fruition?" said Will de Lannoy, director of communications strategy at Noble People. "That gamble that you take is even more difficult to swallow for a publisher because margins are so thin, and they all know that scale is king." That isn't stopping publishers from setting up shop. Today, Refinery29 will announce the launch of an in-house lab, VR29 Studios, during its NewFronts presentation. The studio will boast a team of eight directors and photographers who will create one VR or 360 piece every week for the rest of this year. 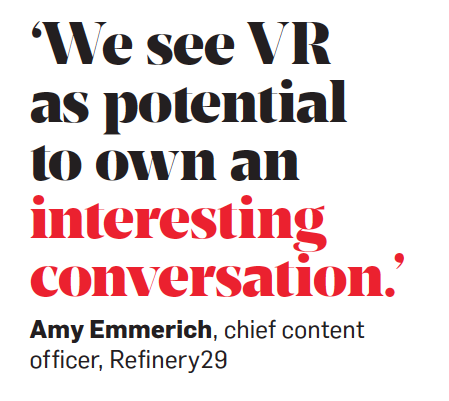 "We see VR as potential to own an interesting conversation," said Amy Emmerich, chief content officer at Refinery29. "Part of what we do every day is create content for women, and we think with VR, there's an opportunity to champion female filmmakers as VR directors."